Working with databases can be a pain when you are designing a low-latency flow in software. I am not a database expert, yet I have achieved good results with following ideas. Redis, MongoDb and many others free and paid solutions are available. Every solution addresses the same problem in a different way. Experiment first if the run-time numbers on large insertions and searches meet your criteria. And the database organizes the data in the way you want it. Evaluate well at design phase. Every RDBMS has some configuration parameters that can be exploited per your needs. These days RAM is cheaper. So having a big cache size helps. So, read the documentation well. Mostly, INSERT into database are the slowest transactions. Separate thread or process can be spawned to provide INSERT apis. 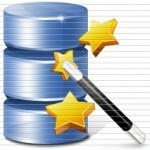 Design complex SQL queries properly to save run-time. You can run analyze tools available with RDBMS package for the purpose. Databases are required only when data is very large, relations are required between tables and you need complex queries on top of them. In-memory data-structures are useful for in-flow systems. mmap() may be useful for small files. I simply wanted to type a brief remark in order to thank you for the great concepts you are placing at this site. My rather long internet research has at the end of the day been honored with beneficial know-how to go over with my good friends. I ‘d believe that many of us website visitors actually are quite fortunate to be in a useful place with so many marvellous individuals with very helpful tips and hints.